Purchased at Fathom Bistro, Bait and Tackle in San Diego ($7/10 oz. pour) and served in tulip glasses. This collaboration between San Diego kingpins Stone, Fark.com founder Drew Curtis, and actor/homebrewer Wil Wheaton pours ebony with an enormous but quickly dissipating light brown head. Wood, fresh roasted nuts, cola, and black licorice greet you on the nose, along with a small dose of hard alcohol courtesy of the partial barrel-aging. The first swallow is a mind-bending mouthful – nuts, coffee, and chocolate on the front end melt into vanilla, wood, and bourbon flavors on the finish. Only a quarter of this sublime brew was barrel-aged, so you get bourbon notes without any residual alcohol heat. The lasting impression on the tongue is of nuts, almost certainly due to the addition of pecans. This is a flat-out brilliant beer – complex yet compulsively drinkable, with a relatively light mouthfeel. 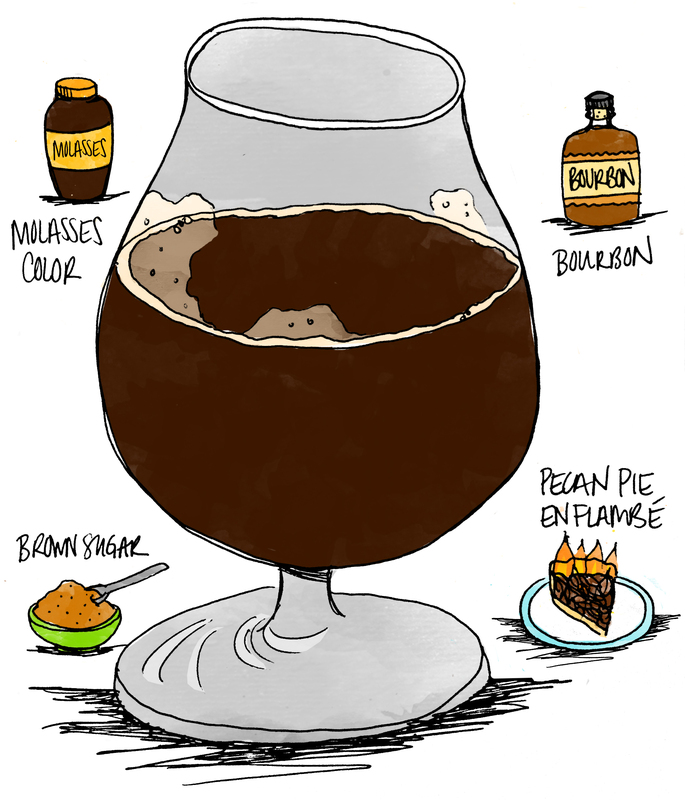 More coffee ground flavors come in as the beer warms, and the beer’s decadent breadiness gives it an overall impression of a boozy pecan pie chased by black licorice. Purchased at California State Fair ($9/16 oz. bottle) and poured into plastic cups. This oatmeal stout brewed with copious amounts of Café Calabria coffee pours an impenetrable onyx with an almost nonexistent sand-colored head. 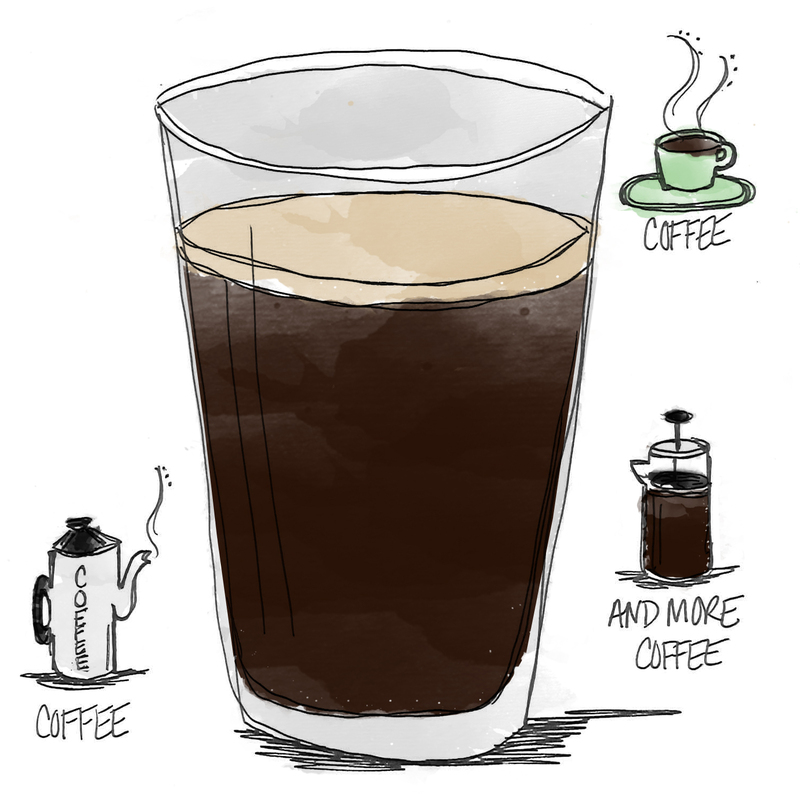 Silky coffee dominates the nose, but it also possesses notes of licorice, plum, and rich loam. Sextant’s strong taste follows suit – nuanced coffee flavors mingle with vanilla bean deserts, and those tastes are offset with earthiness and given depth and creaminess by the addition of oats. 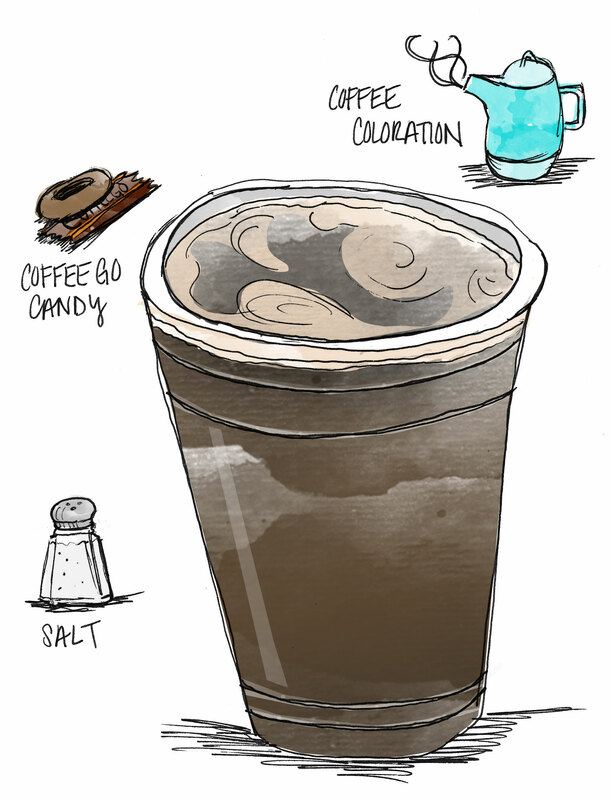 The finish is long-lasting and fairly powerful, but also tasty and well-balanced – coffee is the predominant flavor, along with more vanilla and black licorice. I imagine this brew would stand up very well to barrel-aging. Purchased at Safeway ($6.99/6-pack of 11.2 oz. bottles) and poured into pint glasses. 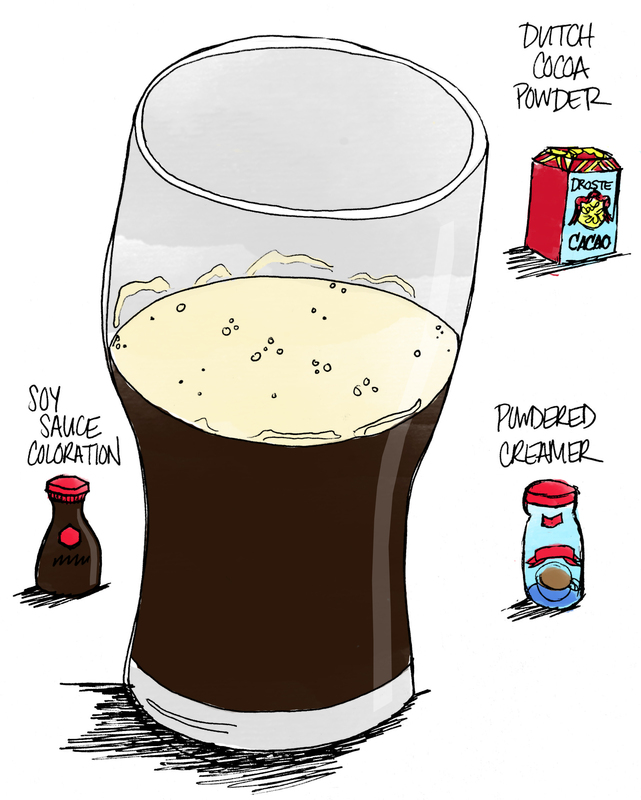 The iconic “Pasteurized Stout” from Guinness pours a murky black with a decent-sized tan head. There are few roasted and toffee notes on the nose, but mostly it’s that strong, apple-flavored malt common to “classic” British brews. 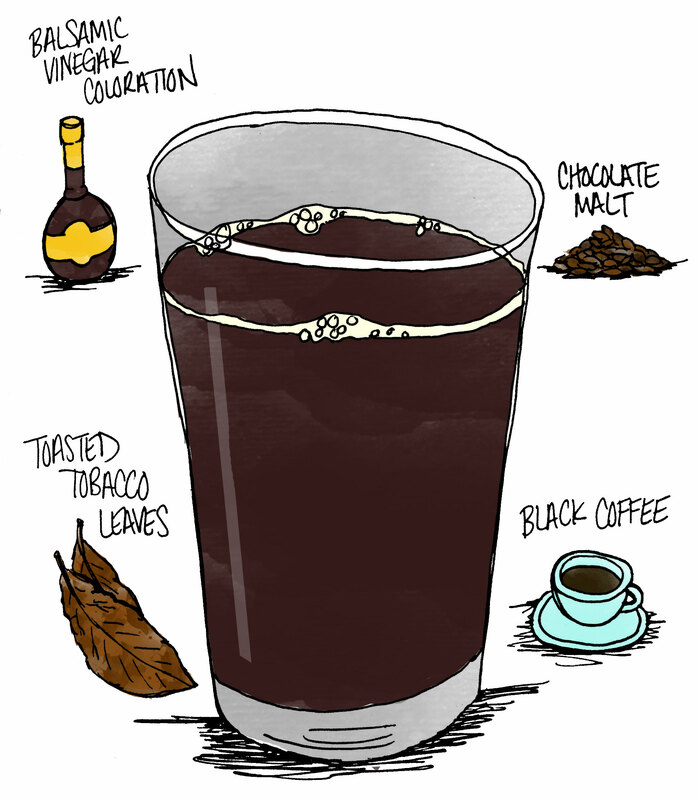 The mouthfeel is more watery than suggested by the dark hue, but it’s well-balanced by mild coffee, toffee, and nut flavors. 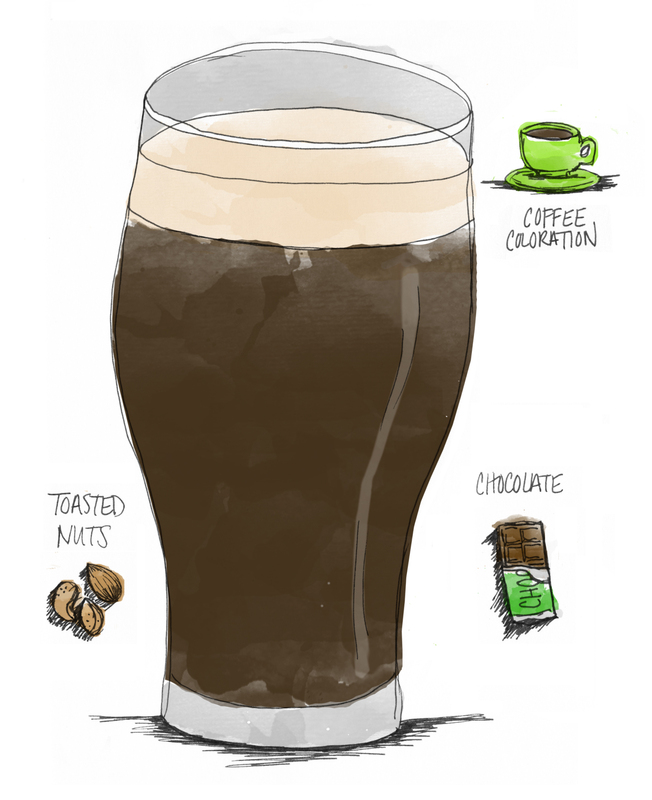 Brewed in Dublin since 1759, Guinness Draught is eminently smoothe, drinkable, and creamy session stout (and less sweet then you might think given the smell) but the tepid flavors and overall lack of depth grow fairly tiresome after a while, as does the flat aftertaste.